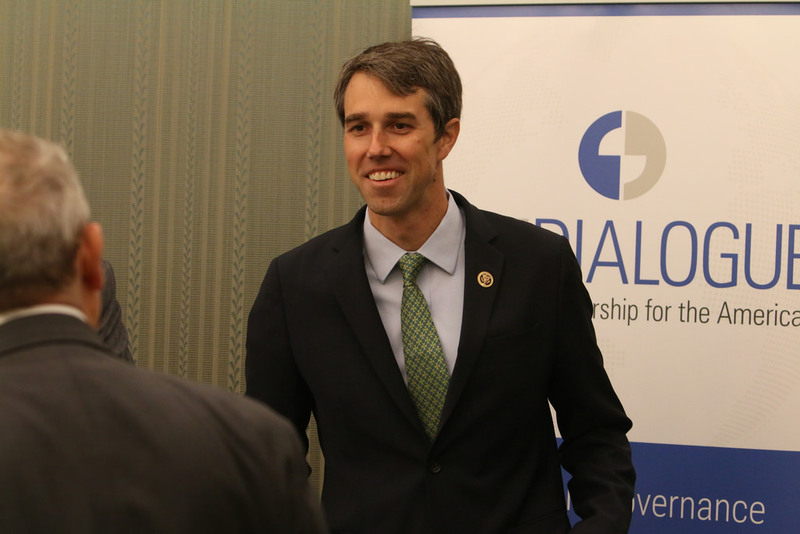 Home › Opinion › If not Beto then who? After much speculation, former U.S. Congressman Beto O’Rourke has decided to throw his hat in the ring. This comes as no surprise, as the El Paso native had been teasing the public with announcements of exploratory committees and public appearances across the United States prior to the announcement. With a stacked roster of career politicians in the democratic primary race, what does this mean for Trump, and does Beto really stand a chance against the current POTUS’ impenetrable base of die-hard supporters? First, we should start off by considering the plethora of candidates the Trump presidency has created. Trump isn’t an establishment republican, and this has ignited a fire in the Democratic National Committee (DNC) and brought out some of the biggest names in modern politics. From Elizabeth Warren to former San Antonio Mayor Julian Castro, the roster is stacked in comparison to the 2016 race. One of my issues with Beto is his ability to spark a revolution without any substantive legislative ideas behind him. The El Paso native can brilliantly ignite a crowd in the first moments of a speech, but where he falls short is his ability to give hard facts and a full-scale plan on how he could pave a better path for the nation. Beto is young in his career; for him to really stand a chance he needs to be transparent in his plans for the first 90 days in office in addition to continuing to touch base in the rural communities Hillary Clinton neglected in 2016. Candidates Elizabeth Warren and Pete Buttigieg have been adamant about what their legislative intentions are, and laying them out for voters with real numbers and projections. Personally, I love Beto, and I believe he could be a good POTUS. But I am going to need to see tangible legislative plans. I love a nice feel-good story, but I won’t feel very good if Donald Trump gets a second term because certain Democratic candidates refused to give substance behind their speech. What policies would he enact to ensure women have representation and the right to make choices for their well-being? Is he going to work on criminal justice reform to ensure minorities aren’t targeted and sentenced for non-violent drug crimes at an increasingly rapid rate? I think you get the point. As of right now, so many Americans are scared of the future, and in this moment we need unity and a plan of action, not just one or the other. Although we, the UTSA community, already know Beto very well, it will be very interesting to see the opinions formed about him from the rest of the nation. The 2020 race has birthed a new generation of “younger” faces in the Democratic Party including Cory Booker (49), Pete Buttigieg (37) and Beto (46). So it goes without saying, the Democrat who will stand the best chance to win will be the one who can create momentum behind their rhetoric and get the 18-22 age range to actually show up to the polls. Even though Bernie Sanders is making waves in the DNC, for Democrats to win this election they can’t be divided into the “Bernie or bust” and “I’m with her” movements that polarized the Democratic Party two years ago and arguably diminished their chances at the White House. Regardless of who is facing off against Donald Trump less than two years from now, it is incredibly crucial that someone is able to unite everyone on the left side of the political spectrum. If you thought 2016 was an important election, this time around the very fabric of American society and civility is on the line. It’s still early though, so be vigilant about each individual candidate, and make sure we get things right this time around.